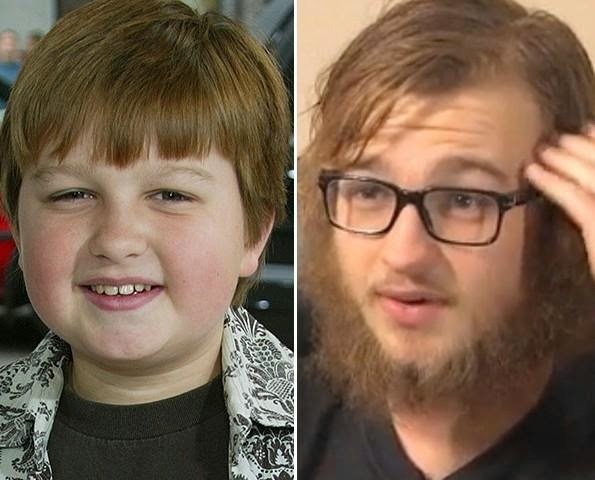 Former "Two and a Half Men" star Angus T. Jones looks drastically different now, sporting a long hair and a scruffy beard during a new interview with KHOU in Houston, Texas. It has been about a year since Jones left the hit show, after playing the character Jake Harper for nearly 10 years. The 19-year-old actor received a wave of backlash in November 2012 when he repeatedly trashed the show and called it "filth." Although the 19-year-old actor apologized for his rant, CBS decided to drop Jones as a series regular from the show. Jones admitted that he wasn’t living the life he wanted as a Christian, which made it difficult to play his role on the show. was difficult for me to be on the show and be part of something that was making light of topics in our world where there are really problems for a lot of people," he told KHOU. "I was a paid hypocrite because I wasn’t OK with it and I was still doing it." He admits that he feels some remorse for openly criticizing the show and creator Chuck Lorre. "That’s like baby and I just totally insulted his baby and to that degree I am apologetic but otherwise I don’t regret saying what I said," he explained. So, what's Jones doing now? He’s currently going to school in Colorado and spending time with the World Harvest Outreach Church in Houston.